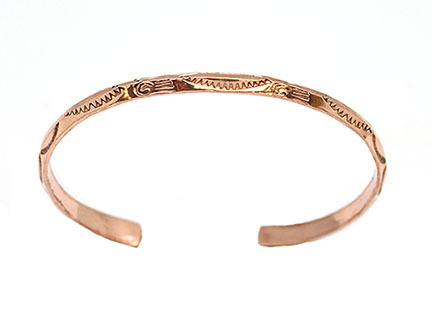 Copper #3 triangle stamped bracelet. It measures approximately 3/16" wide. It is Navajo hand made by Shirley Brown. 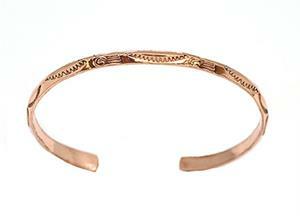 Stampings may vary and may have some with native american designs.